I’m a 39-year-old woman in need of a kidney transplant. I’m currently on dialysis & have been for the last 5 years. I travel 35 minutes from home every other day for my dialysis treatments. This process is becoming more & more difficult due to my chronic low blood pressure & failing fistula. I’m becoming very concerned that I may be running out of options for dialysis. I am working with a plastic surgeon for skin removal surgery due to my 300 lb weight loss. This is a surgery I will need to have before a transplant because post-transplant patients are on immunosuppressive drugs which would inhibit healing. There will be an extensive recovery as this is a major surgery. This surgery must be done out of state at Beth Israel Deaconess Medical Center in Boston. I will be recovering there which will increase my financial burden. I’m no longer able to work due to my medical condition. The struggle these past years with my health has caused much angst. I have been very fortunate to have the support of my family, friends & most of all my boyfriend Mickey. However, being on disability and a fixed income makes it difficult to get to my frequent appointments. I’ve always been an independent working woman. Having to rely on the help of others and their generosity is very humbling for me. I need these surgeries which would prolong my life and allow my Dad to see me live the life he’s always wanted for me. Also, allowing me to return to work as a nurse & the opportunity to pay it forward. This is where I desperately need your help! To help offset such expenses, a fundraising campaign in Heather’s honor has been established with Help Hope Live, a trusted nonprofit organization that has been providing community-based fundraising guidance to patients and their families for more than 30 years. 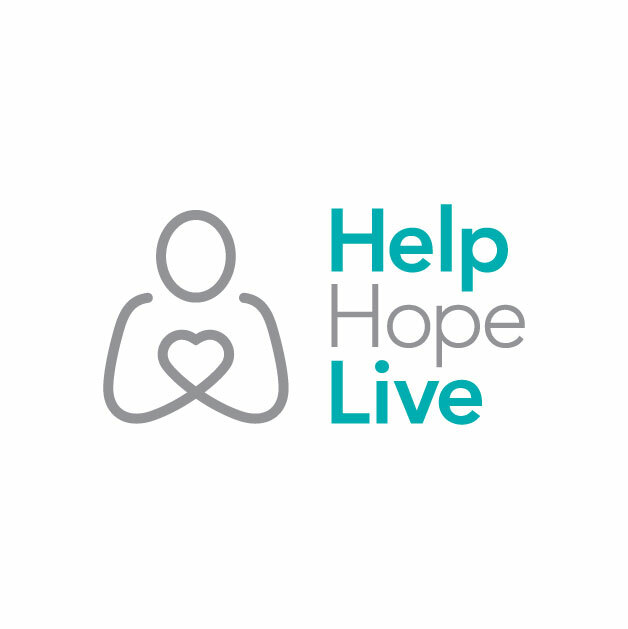 All donations are tax-deductible to the full extent allowed by law, are held by Help Hope Live in the Northeast Kidney Transplant Fund, and are administered by Help Hope Live for transplant-related expenses only. If you would like to make a contribution, please click the DONATE NOW bar. Well I finally got a kidney!! My second chance at life has arrived!! I am so thankful for all of your support and prayers. I’m so thankful that someone out there was so selfless and gave of themselves to help me get well and finally be able to give back! Love to you all!!! So, we finally got the good news!!! I’m on the list for a kidney!!! Thanks to all of you for your support!!! One appointment until the list!!! We r getting there!!! Thanks for your continued prayers!! Finally done with the skin surgery!! Healing is slow but so worth it!!! Now on to a kidney!!! I have finally gotten the news I was waiting for! I’m having my skin surgery! Will find out hopefully this week the date of it! It seems like it’s taken forever to get to this point! So we will be traveling back-and-forth to Massachusetts quite a bit in the next month or so! Prayers were answered! I finally had my appointment with the hematologist!!! I’m waiting on blood work and he has a plan for anticoagulation for plastic surgery!! Now we hurry up and wait some more!! Thanks for all of your prayers and support!!! Thank you so much for your generous donations! I am so lucky to have such an amazing support system!! Getting excited for my upcoming appointment with the hematologist in a few weeks. Hopefully this will be the last set of appointments before they schedule my skin surgery! Fingers crossed!! I’m a 39 year old woman in need of a kidney transplant. I’m currently on dialysis & have been for the last 5 years. I travel 35 minutes from home every other day for my dialysis treatments. This process is becoming more & more difficult due to my chronic low blood pressure & failing fistula. I’m becoming very concerned that I may be running out of options for dialysis. I am working with a plastic surgeon for skin removal surgery due to my 300 lb weight loss. This is a surgery I will need to have before a transplant because post transplant patients are on immunosuppressive drugs which would inhibit healing. There will be an extensive recovery as this is a major surgery. This surgery has to be done out of state at Beth Israel Deaconess Medical Center. I will be recovering there which will increase my financial burden. I’m no longer able to work due to my medical condition. The struggle these past years with my health has caused much angst. I have been very fortunate to have the support of my family, friends & most of all my boyfiend Mickey. However being on disability and a fixed income makes it difficult to get to my frequent appointments. I’ve always been an independent working woman. Having to rely on the help of others and there generosity is very humbling for me. I need these surgeries which would prolong my life. Allowing my Dad to see me live the life hes always wanted for me. Also allowing me to return to work as a nurse & the opportunity to pay it forward. Any support you’re able to donate will be greatly appreciated by me & my family. Thank You.